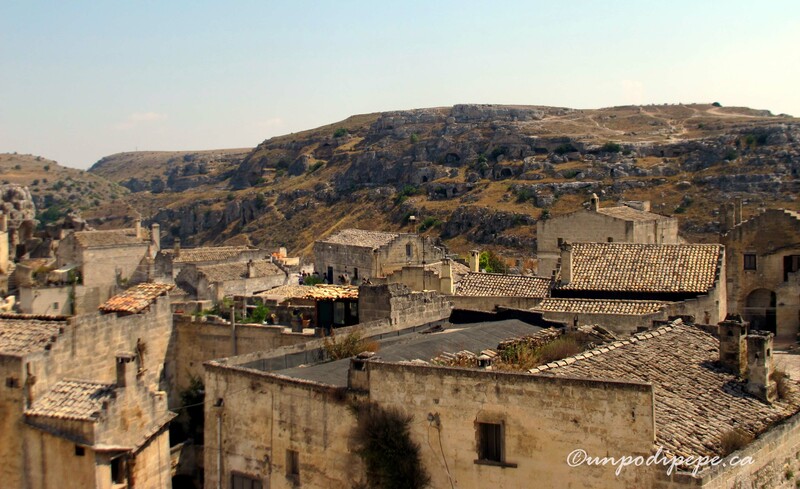 Matera is a rock-cut settlement in Basilicata, the most isolated, least visited region of Italia. It is one of the world’s oldest living cities, continuously inhabited for over 9,000 years. Clinging to a 300m gravina (ravine) carved out by the river below, Matera seems to rise straight up from the earth, built in 2 natural basins. These basins are the ‘Sassi’ districts, Sasso Caveoso and Sasso Barisano. Sassi means stones and refers to the rock cut cave dwellings. The higher ground in between the 2 Sassi districts is the Civita. Above the Sassi, on the Piano (plain/plateau) modern Matera is barely visible. The Piano was originally used for agriculture and water collection. 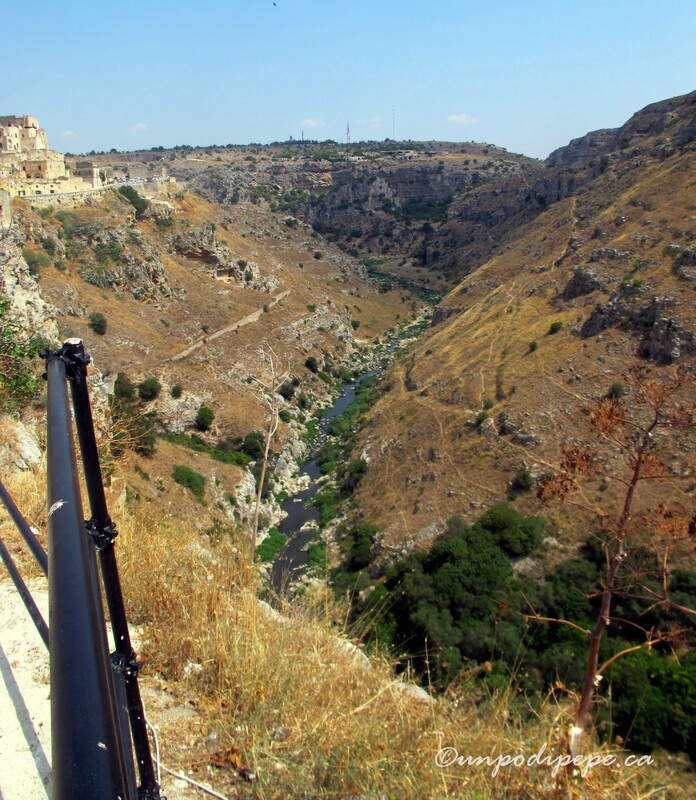 Across the canyon, the west side of the gravina is the Murgia Plateau and the Parco Archeologico Storico Naturale delle Chiese Rupestre Materano. The original stone-age settlement was on this side. The Parco Archeologico is filled with grotte (caves), Chiese Rupestri (churches carved into the rock), Neolithic villages and tombs. From Matera, the grotte look like little mouseholes. With the invention of tools it was easier to dig into the softer tufo (calcareous rock) on the east side of the gravina and Matera was excavated from this rock. 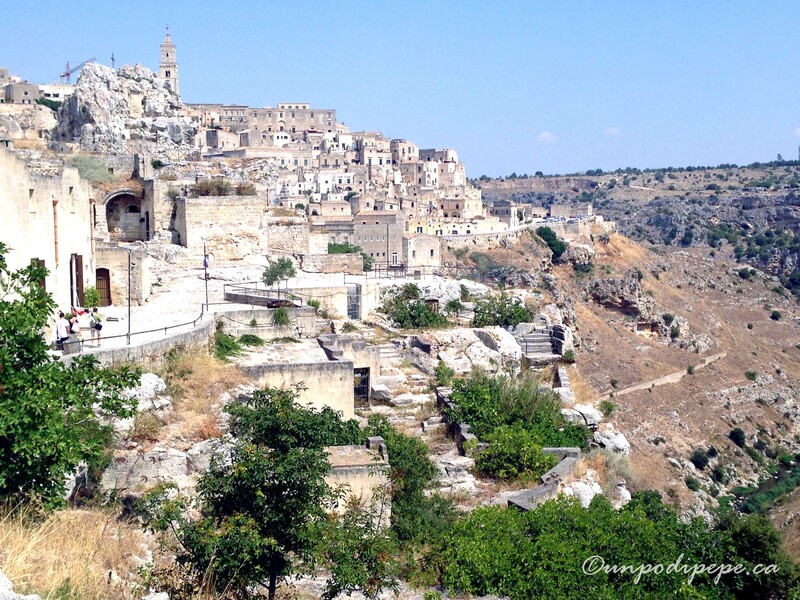 The Sassi developed in layers over time, as Matera was home to every passing civilization. On the surface the Sassi look deceiving. House fronts are facades-built in front of, on top of and around caves! Incredible systems of underground cisterns and canals were built to collect and distribute rainwater. Matera’s isolated location made the area attractive to religious communities. Between the 8th and 13th centuries, Byzantine Basilian monks escaping religious persecution lived in the grotte. There are over 150 Chiese Rupestri with priceless Byzantine frescoes throughout Matera and the Parco delle Chiese Rupestri. By the 15th century, peasants and animals occupied the grotte left by the monks. Things moved along for the next few centuries. When Matera was the provincial capital 1663-1806, increased activity caused a rise in population. In the 18th and 19th centuries, the wealthier Materani moved into the newer town on the Piano, leaving only contadini and artigiani (farmers and artisans) in the Sassi. By the early 20th century, the Sassi could not accommodate the increased population. Overcrowding plus development of the Piano also affected the water collection systems and led to poor sanitary conditions. With less farmland available, the poverty was unbelievable. 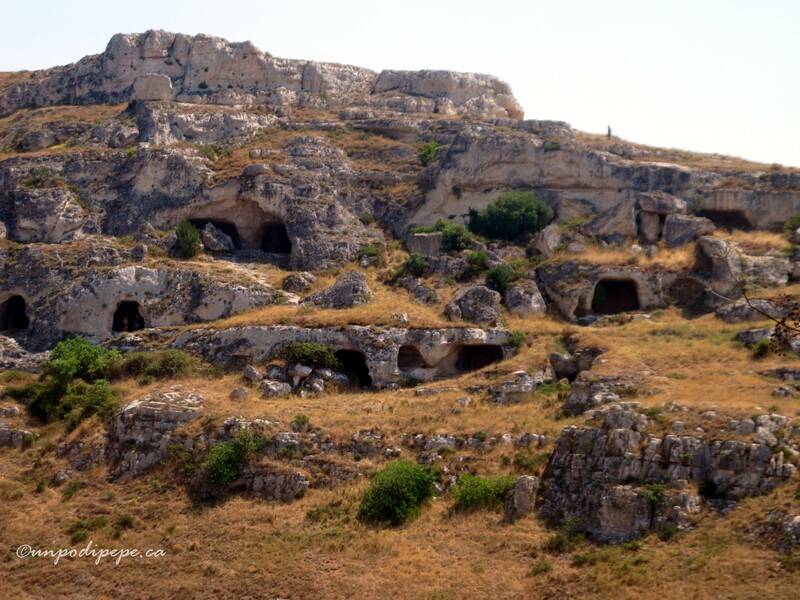 Large families shared dark, crowded case grotte (cave homes) with sheep, pigs and goats. Some were only accessible by a trapdoor and ladder. There was no electricity, running water or sewage. It’s hard to imagine these kind of living conditions. 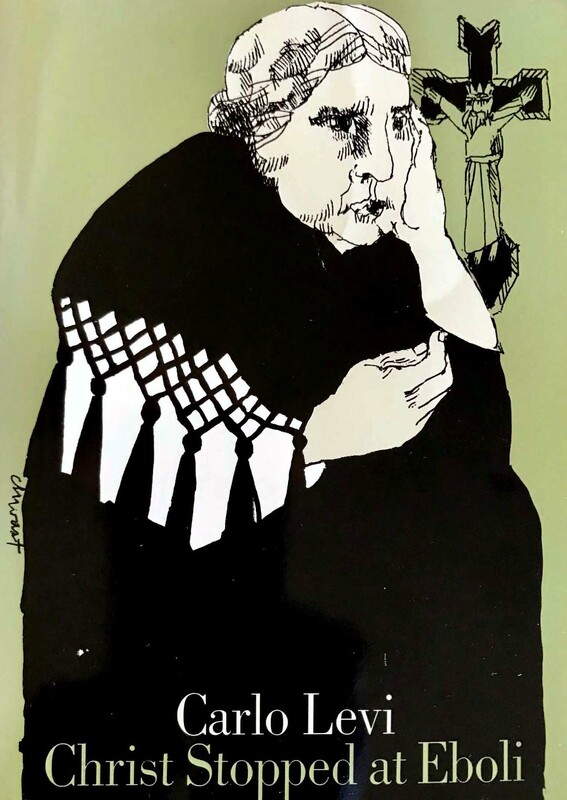 Matera’s situation continued on unnoticed- until the 1945 release of ‘Cristo si è Fermato a Eboli’ (Christ Stopped at Eboli), Carlo Levi’s memoir about his year as a political prisoner in Basilicata in 1935/36. Levi was a doctor, writer and artist from a wealthy family in Torino. He was exiled to a small town near Matera for his Anti-fascist views. Near the beginning of the book, his sister Luisa, also a doctor, needs a permission form stamped in Matera so she can visit him. She describes the Sassi as ‘a schoolboy’s idea of Dante’s Inferno’. She states ‘I felt, under the blinding sun as if I were in a city stricken by the plague. I have never in all my life seen such a picture of poverty. ..This is how 20,000 people live!’ There was a 50% infant mortality rate, malaria, dysentery and trachoma. 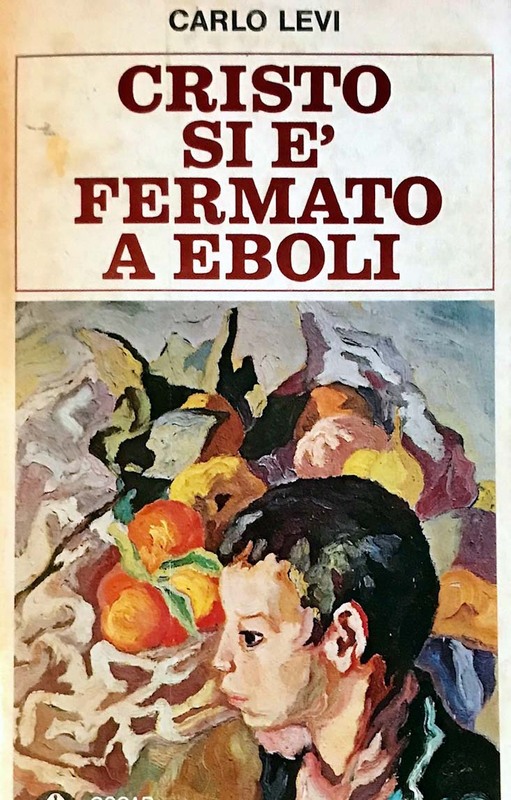 Eboli is south of Napoli and the title is a local expression suggesting that Christ didn’t make it as far as Basilicata so they are beyond civilization and hope. 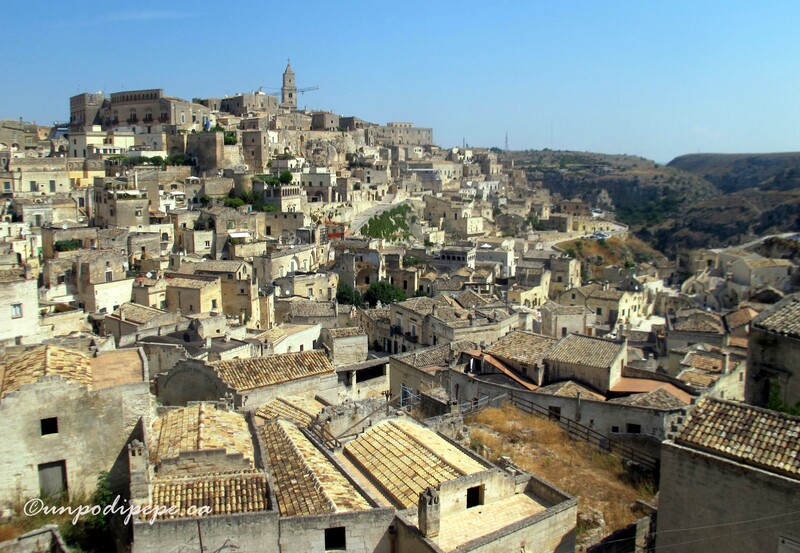 Carlo spends a few hours in Matera near the end of the book and says ‘I had time to see the town and then I understood my sister’s horror, although at the same time I was struck by it’s tragic beauty’. I’ve read this book twice and definitely recommend it. It is very philosophical and it is obvious from Levi’s writing and painting that this experience affected him profoundly. His paintings from Basilicata are on display in the Museo di Arte Medievale e Moderna in Palazzo Lanfranchi. 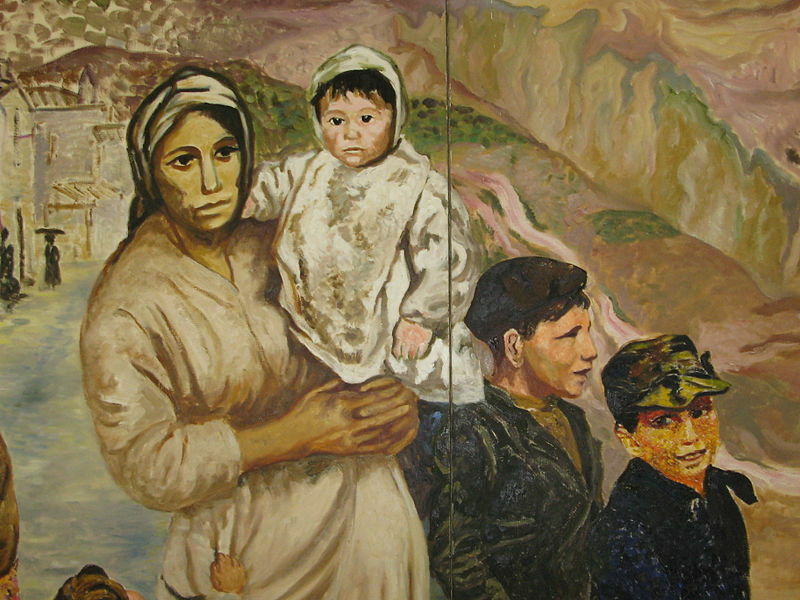 Levi’s book became internationally known and brought to light the living conditions in Basilicata. Matera became ‘La Vergogna Nazionale’ the National Shame. The Sassi were declared unsafe and unsanitary, although only 30% were actually unsafe. US experts on rural relocation were brought in as consultants. Instead of temporarily relocating the residents while the structurally unsafe areas were fixed, the government forcibly relocated almost everyone to poorly planned government housing. Starting in 1952, 16,000 people were removed from the Sassi to new apartments in the ‘modern town’ that were built facing away from the Sassi. The move isolated families and the community and made them feel ashamed for being poor. An unfortunate example of a patronizing, poorly conceived plan to help people without consulting them or addressing the real problem. The Sassi became an archeological ghost town in the 1960’s,mostly abandoned except for a few families who had stayed or moved back in. 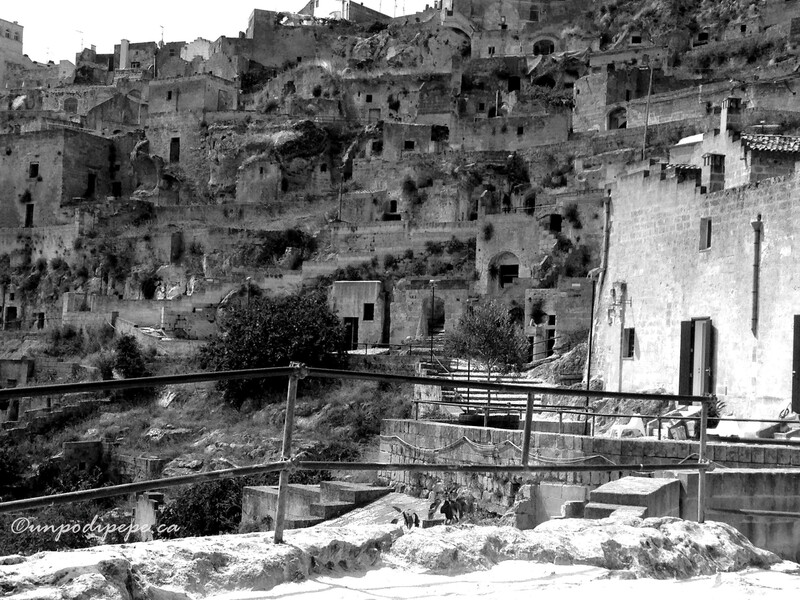 In the 1970’s squatters, local hippies, artists and drug dealers lived in the Sassi. A group of young locals formed Circolo La Scaletta, an organization that lobbied for restoration of the Sassi and protection of the frescoes. One of their supporters was Carlo Levi, now an Italian senator. Yeah Carlo! In the 1980’s laws were passed protecting the Sassi and Chiese Rupestri. 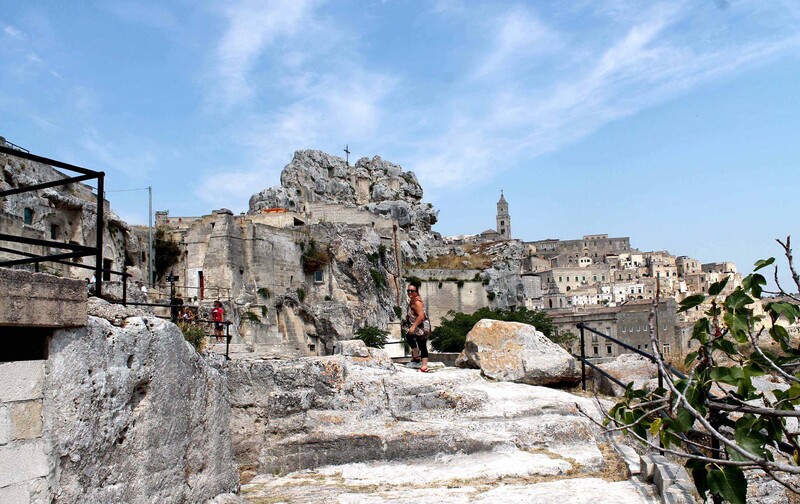 In 1993 the Sassi finally went from shame to fame when UNESCO declared I Sassi di Matera e il Parco delle Chiese Rupestri a world heritage site. Calling it ‘the most outstanding intact example of a troglodyte (cave dweller) settlement in the Mediterranean region, perfectly adapted to its terrain and ecosystem’. Today about 3,000 people live in the Sassi. 50% are occupied and more continue to be restored. 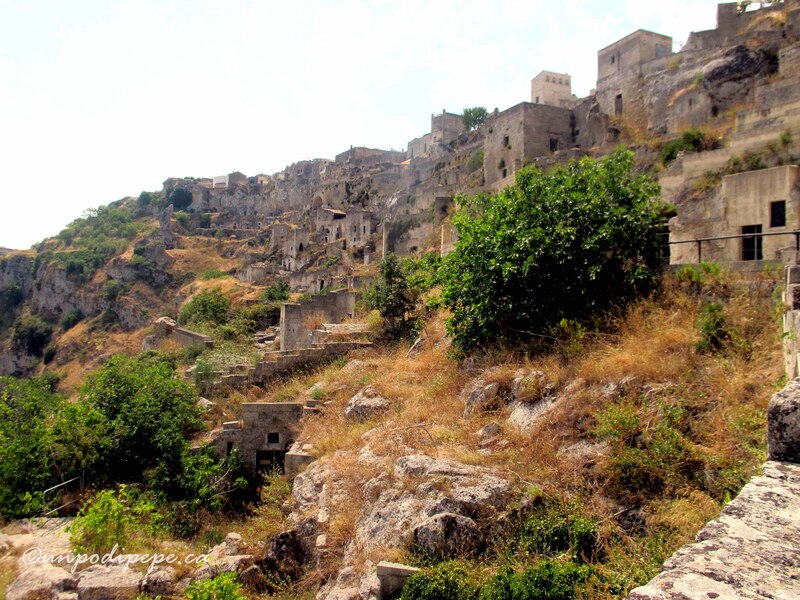 In Sasso Caveoso, some areas are still unsafe and blocked off. 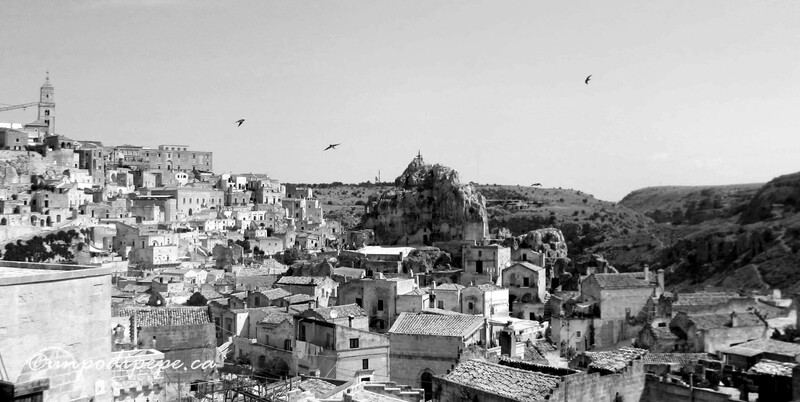 Now Matera has sassi hotels, bed and breakfasts, ristoranti, offices, artisan shops and galleries as well as homes. Photogenic Matera has played ancient Jerusalem in several movies, including Pasolini’s ‘Il Vangelo Secondo San Matteo’ (1964), Mel Gibson’s ‘The Passion of the Christ’ (2004), and ‘Ben Hur’ (2016). Matera was selected as the European Capital of Culture for 2019 and will host cultural events raising its visibility and profile internationally. Luckily, Matera is not the easiest place to get to, which will prevent it from becoming an overcrowded tourist theme park like Capri! There is something very special about this hauntingly beautiful place. As I wandered through the alleys and mazes of Matera, I was reminded once again of the amazing courage and resilience of our contadini ancestors. Stay tuned for more posts about Matera!